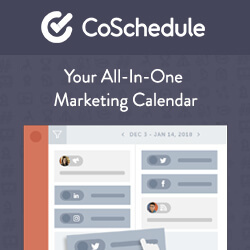 This post contains affiliate links which means when you make a purchase through these links, you are supporting Wine and Lavender -at no cost to you- and I appreciate that so much! My opinions are my own. After a 30-hour road trip with three kids (one with diarrhea) this summer, we learned that there’s not much we can’t handle. 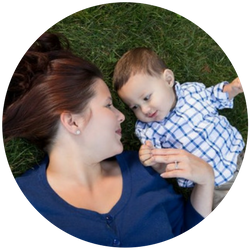 We’ve become pros at packing, scheduling is a breeze, and keeping the kids busy in the car is a walk in the park. I’ll admit, it did take some minor adjustments here and there, but we’ve become pretty darn proficient in all things travel. The best thing that came out of our summer excursions is our newfound experience as road warriors. So scheduling a short, 5-hour trip to the Dallas area for one last summer getaway was easy peasy and worth every minute in the car. This trip was also cost-efficient, educational, and fun- so it was a win for us ALL. 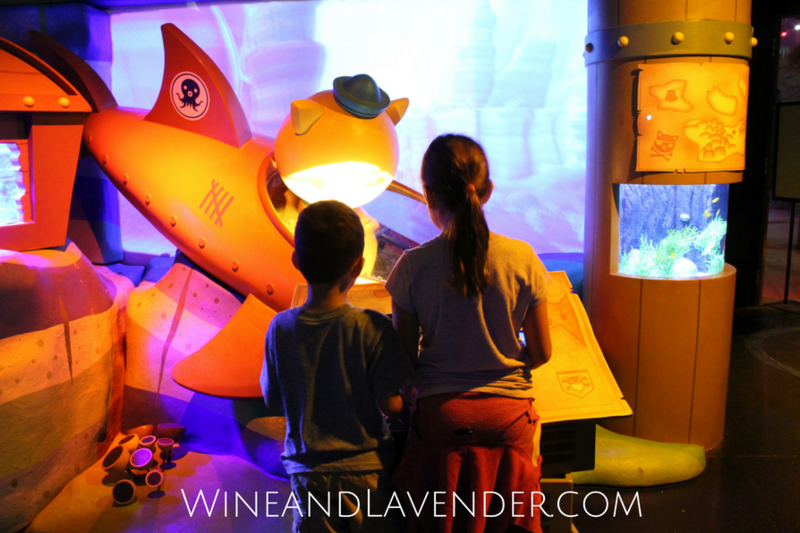 Check out 10 Things You Need to Know Before Heading to Legoland Discovery Center if you want to hear more about that leg of our trip and if you want to hear what to expect at Sea Life Aquarium… keep reading. 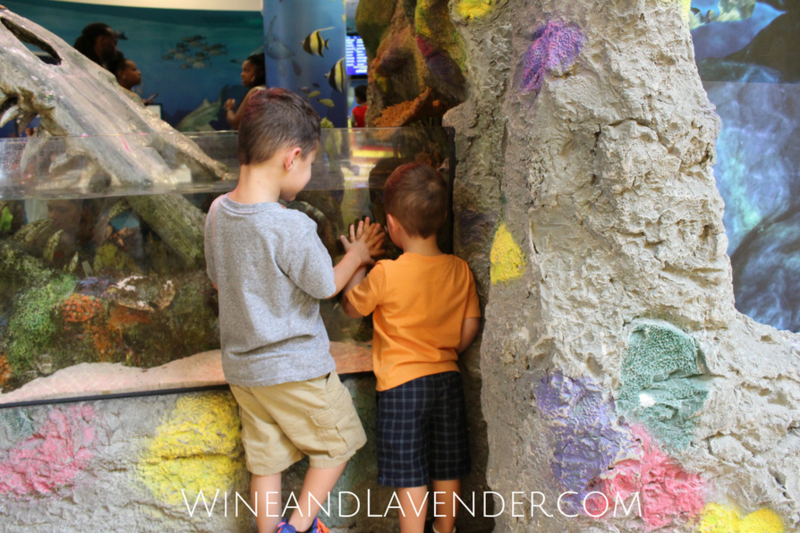 We arrived late on Saturday and although the kids were super excited to get into Legoland Discovery Center, we wanted to make sure we had ample time there, so we opted to visit SeaLife Aquarium first. SeaLife Aquarium was just as exciting and fun as Legoland Discovery Center. It brought us all closer to a world we don’t normally have access to- in a way that made it both educational and fun. From their 360- degree Ocean Tunnel, to their educational talks and interactive experiences, this visit was fun for us all. First and foremost, one thing that I loved most about Sea Life Aquarium was their commitment to our oceans and the animals in them. Sea Life Aquarium has a partner charity, The Sea Life Trust, whose mission is, “…to protect marine wildlife and habitats across the world.” To find out more about what they do to preserve our oceans, protect our animals, and reduce waste, visit them online at www.sealifetrust.org. It’s so important to protect all things natural on our planet and I was impressed by the stress they put on sustainability and our responsibility to the oceans. It’s never too early to teach our children to value and protect our natural resources. I love that Sea Life Aquarium makes it a priority to educate its visitors about that- in a way that people of all ages can understand. Sea Life hosts educational talks at every 1/2 hour to hour intervals throughout the day- so you are sure to catch at least one on your visit. 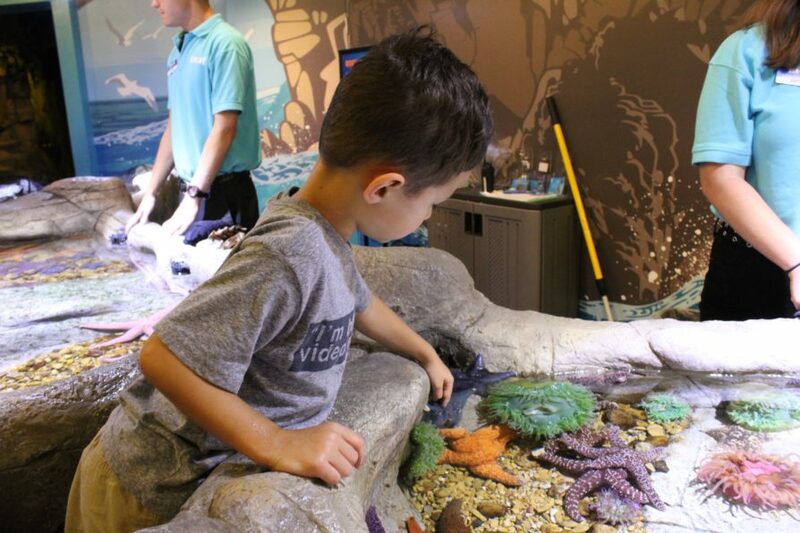 From dinosaurs to rainforests, sharks, and seahorses, each talk has a little something for everyone. Depending on the day and time that you visit, you might even be able to catch a feeding demonstration, too! Do you have a little person who is obsessed with Octonauts? Then they’ll love the Ultimate Octonauts Experience. This attraction features interactive games that are fun and educational. There’s a game you can play with Peso and some awesome animals to see. Don’t forget to grab your Dive Log Book at the ticket stand! You can collect 9 stamps that will earn you a reward at the end of your trip. To get a stamp, you need to make your way to each dive station, pick up some great tips & information, and get a stamp from a team member. It isn’t hard to make your way along, and you learn so much! Sea Life Aquarium is a pretty sizable place. There are so many displays and tanks from which to view sea creatures- but my kids thoroughly enjoyed the displays that literally put them IN the sea. 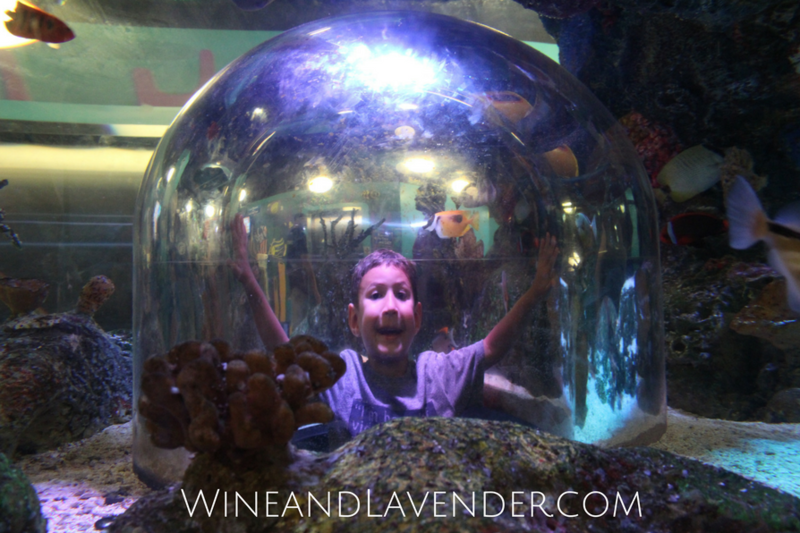 At almost every attraction, there are glass “bubbles” that you can stick your head in (or in the case of the 360 tunnel- walk through) with the creatures swimming all around you. My kids (and I) loved this because you don’t only get a 2-dimensional view of these wonderful creatures. You can watch them as they swim or float around you, and it’s a pretty amazing thing to experience! 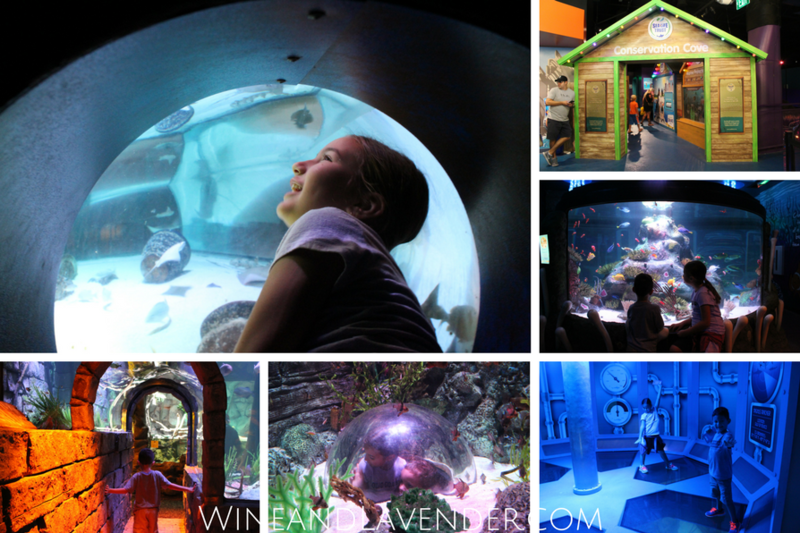 Have you ever been to Sea Life Aquarium in Grapevine, TX? Which part did you enjoy the most? Leave your comment below. Check out The Best Beach Vacation Packing List (& Tips) and Survivng Road Trips with Kids for some tips on traveling with little ones!